He sat there looking like that for a while. We think its a jackdaw but never seen one looking like that before! 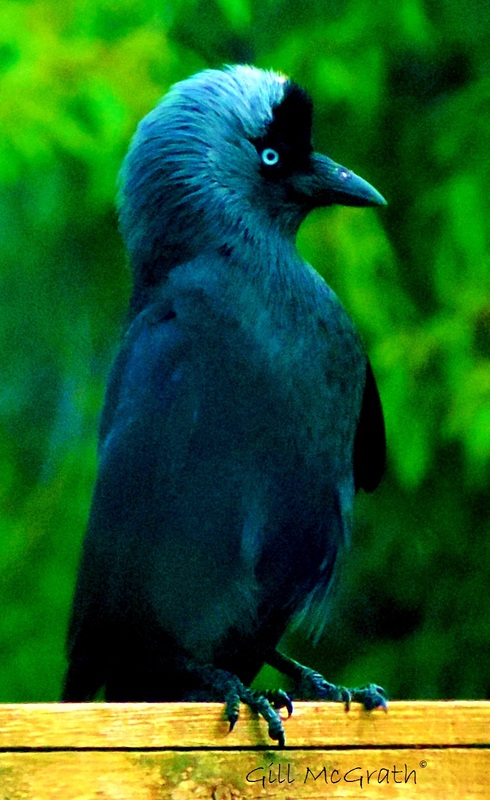 and the Jackdaw’s eyes look quite nice also I suppose. Jackdaw says thank you for saying he looks quite nice also. Went all fluffy!! !